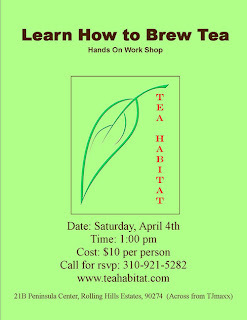 Visit www.teahabitat.com for details or make reservations online. Since the Beijing Olympic games of 2008, I have not been able to import any Olive Pitt Charcoal from China. I was in dire need of that second best alternative. Through the long 6 months of searching, I have yet to find the second best charcoal, but have good results in what I should look for. 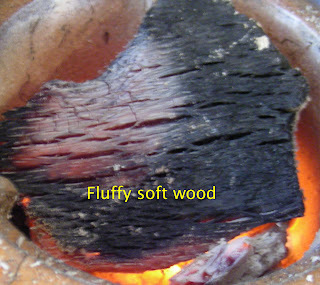 Hardwood charcoal is widely available at an affordable price compared to Olive Pitt Charcoal. There are many types of wood, and each type has its own aroma, density, ash production and maximum temperature, on top of these variables, the maker is also an important factor. 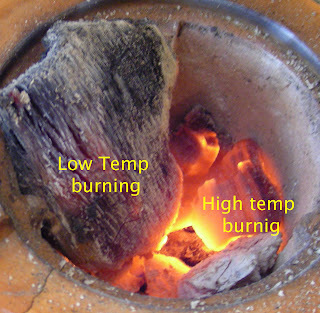 How much carbonation is done to the wood, parts of the tree, miscellaneous contents (stones, whacky stuff that aren't wood), percentage of dust and fannings are also factors one should consider when choosing a bag of charcoal for under $10. Sounds like a bit too picky for something so insignificant in terms of financial value eh? Well, if you use charcoal on a daily basis like I do, you'll find out the benefit of good charcoal. 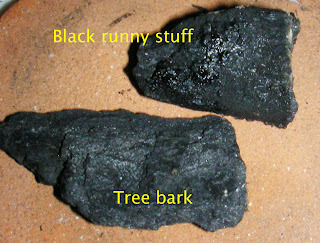 Bad stuff: tree barks and harden liquid stuff means low carbonation, there are still lots organic materials left in the wood which can cause LOTS smoke and unpleasant odor that could stink up your house, clothes, hair and skin for hours. 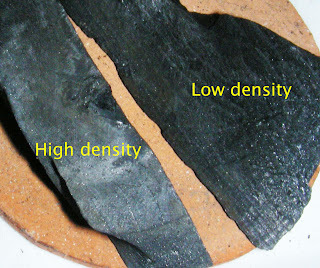 Same piece on left, does not burn well: All that just for a cup of good tea! 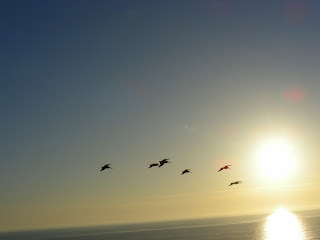 Today is gorgeous with full sun in warm temperature, a perfect day at the beach for a nice long walk. Since I can't leave the shop during business hours, an urge to reach the beach built up during the day finally became uncontrollable. Thanks to Daylight Saving Time, it's bright enough to go after work. Just the right time to catch a handful of sunset. 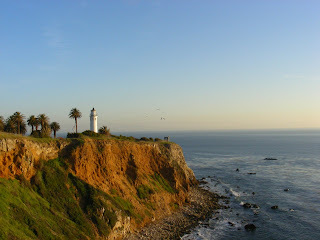 Ah, the light house at Point Vincent. Looks like a farm eh? Well, you could drive all the way into the ocean. 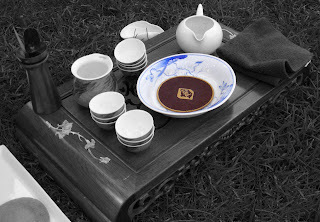 One of the new items I current stock is 2004 Hong Cha Tou - a wild Hong Yin Phoenix Oolong. 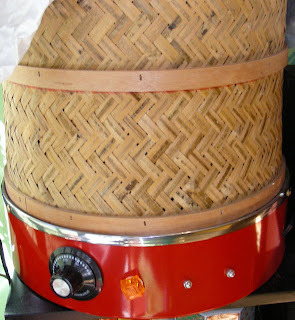 This batch was belonged to and stored in the warehouse of Guang Dong Province Tea Import Export Company- Chao Zhou Branch for the last few years. It's now released to the market and I got a hold of the entire batch. When I first tasted it, the first infusion had a sea breeze smell, not the most enjoyable, yet does not put me off type of thing. Once that's gone, the following infusions taste creamy and full of flavor. The creaminess reminds me of the nurishing stomach comforting chicken soup. No, not interms of flavor, just the feeling of it. After a couple nights of contemplating, I remember younger Phoenix Dan Cong can use a dose of roasting every couple of years. So I did, tested with a small batch, the seabreeze was gone completely, went all the way out to the pacific ocean. The finished tea is even sweeter and smoother. With this encouraging result, I have been busy roasting the rest of the batch, all 8 kg of it. My roaster can handle 3 lbs at a time. It take 6 long hours each time. 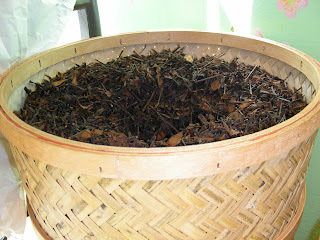 Fill bamboo container up to rim, dig a hole in the middle of tea leaves to allow hot air travel up. Cover with clean paper, NO lid. Set roaster to 80 C to preheat leaves. Wait an hour then turn up the dial to 100 C, wait 2 hours, turn down the dial to 80 C again, sit and sip tea for 3 to 4 hours. Done! This tea is now my new fave. Can't get enough of the sweet dessert like creamy texture. Great value at an affordable price. We had our 2nd anniversary tea tasting a couple of weeks ago, I had yet to post any pictures. Jason has already covered the event with details on his blog. Look forward to our 3rd anniversary. I promise I'll join everyone for dinner next year! 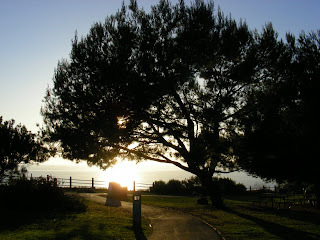 Here I will post a few pictures I took. This article is an extension of a previous topic Tea Aroma. I talked about types of aroma and where they come from and how some are produced. True aroma is one of the natural essences of the plant, nothing different than the smell from a rose. Added scent on the other hand isn't naturally an essence of the tea itself. Popular Jasmine tea is traditionally scented with natural flowers, nowadays some producers add scented oil to simulate the aroma. 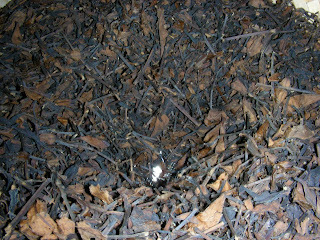 Although both are not naturally part of the tea, the former is some what more natural then the later. How can one identify the difference? Aside of experienced nose to detect the chemical content of the scented oil, a simple step can help you separate the two. Use separate cups for each tea, add hot boiling water to each cup, then place a thin scent free tissue over each cup covering the top for 5 minutes. If you can smell a scent on the tissue after it's dried, the tea in the respective cup is scented with oil. This method is primarily to determine the authenticity of tea aroma, however does not apply to blended tea or teas that are flavored as part of a recipe. This small gaiwan was looted from my friend a month ago. It's now my daily gaiwan for one, since it makes exactly one cup (left) of tea each time. It's very thin and light weight, curves well so it doesn't burn my fingers easily, the knob is big but thin and flares out so it doesn't burn my fingers easily as well, everything is proportionately well made, makes very nice tea except large quantity of fisted tea leaves. Inside of the lid has an air pocket that prevents hot air raising up the lid which also means losing heat. I am loving it! Gaiwan can be tricky, some has small snob, some has small curve, some has thick wall, on and on. Each variable determines how well it fits in your hand and how easy to use, ultimately makes a good cup of irritation-free tea. I can be picky about gaiwans, despite the appearance, the function enhancement of a gaiwan is particularly important when selecting a gaiwan.